Make a bold statement with a revolutionary, low profile design. 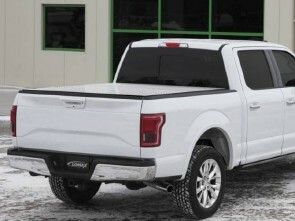 This diamond plate tonneau cover provides a simple easy one person operation. 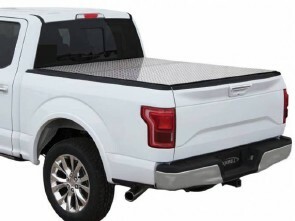 To prevent the elements from entering the truck box, this cover features aluminum panels with a water shedding design and reinforced vinyl coated hinges. 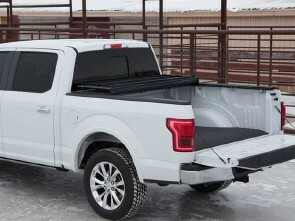 Additional extruded aluminum channels increase the strength of each panel, making the cover stronger with minimum added weight. The vinyl coated hinges, flexible rubber seals and limited metal-on-metal contact all work together to reduce noise and vibration for a quiet ride. Committed to quality and durability, the LOMAX™ Professional Series is redefining rugged.